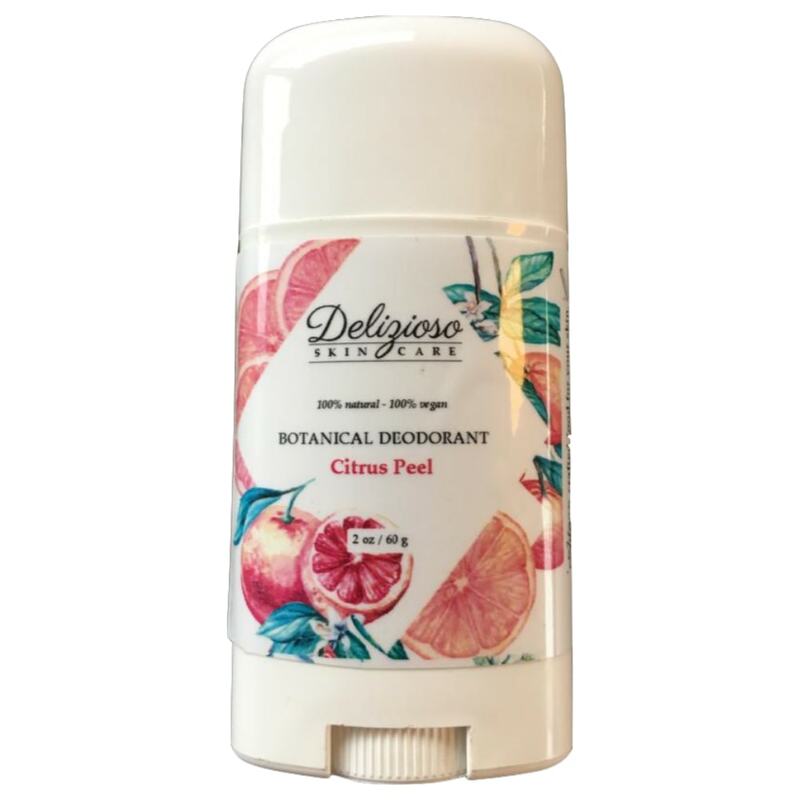 A 100% natural and vegan deodorant made with pure butters, oils and botanical powders to soften the gentle under arm area while keeping it smelling fresh and feeling dry. This artisan crafted deodorant is made on a buttery formula that applies with a powdery finish and contains ingredients that can help prevent odor. Citrus Peel: Sweet Orange, Tangerine & Orange Peel. Coconut Lime: Lime & Coconut. Tea Tree Lemongrass: Tea Tree & Lemongrass. palm oil, fragrances, SLS, synthetic dyes, animal products and other synthetic ingredients. Cocos Nucifera (Coconut) Oil, Maranta Arundinacea (Arrowroot) Root Powder, Euphorbia Cerifera (Candelilla) Wax, Diatomaceous Earth, Butyrospermum Parkii (Shea) Butter, Zinc Ricinoleate, Sodium Bicarbonate (Baking Soda), Theobroma Cacao (Cocoa) Seed Butter, Kaolin Clay, Oryza Sativa (Rice) Bran Wax, Astrocaryum (Murumuru) Seed Butter, Oryza Sativa (Rice) Powder & Mangifera Indica (Mango) Seed Butter. Discontinue use if irritation occurs. Product may color or stain fabric. (* = Certified Organic) Cocos Nucifera (Coconut) Oil, Maranta Arundinacea (Arrowroot) Root Powder, Euphorbia Cerifera (Candelilla) Wax, Diatomaceous Earth, Citrus aurantium dulcis (Orange) Peel Oil, Butyrospermum Parkii (Shea) Butter, Citrus Reticulata (Tangerine) oil, Kosher Certified Flavor Oil blend (Naturally derived from plant/ fruit material, Zinc Ricinoleate, Citrus Aurantium Dulcis (Orange) Peel Wax, Sodium Bicarbonate (Baking Soda), Theobroma Cacao (Cocoa) Seed Butter, Kaolin Clay, Oryza Sativa (Rice) Bran Wax, Astrocaryum (Murumuru) Seed Butter, Oryza Sativa (Rice) Powder & Mangifera Indica (Mango) Seed Butter.